The Harlequin duck is one of the most beautiful sea ducks of the world, due to its robust coloration. Females are always paler than males. Color: Male ducks have a bluish-grey head and neck with white patches on the body and the head has a black outline, the flanks look chestnut-red. During flight, males exhibit blue speculum and white spots on the wings which are missing in females’ wings. Females are dark brown and two sides of their faces have white spots. Sounds & Communication Emits squeaking sounds (similar to that of mouse’s) and at times females produce ‘ek-ek-ek’ in coarse tones. Adaptation 1. Their thick feathers help them capture air within themselves which is important to insulate their bodies for swimming in the cold waters. 2. Their light feathers help them float after diving. 3. Their bill is perfect for bringing out small creatures amidst rocks for eating. Predators Bald eagles, ravens, river otters, jaegers prey on the ducks while foxes, wolves, and minks attack the nests. They flap their wings to ward off predators. 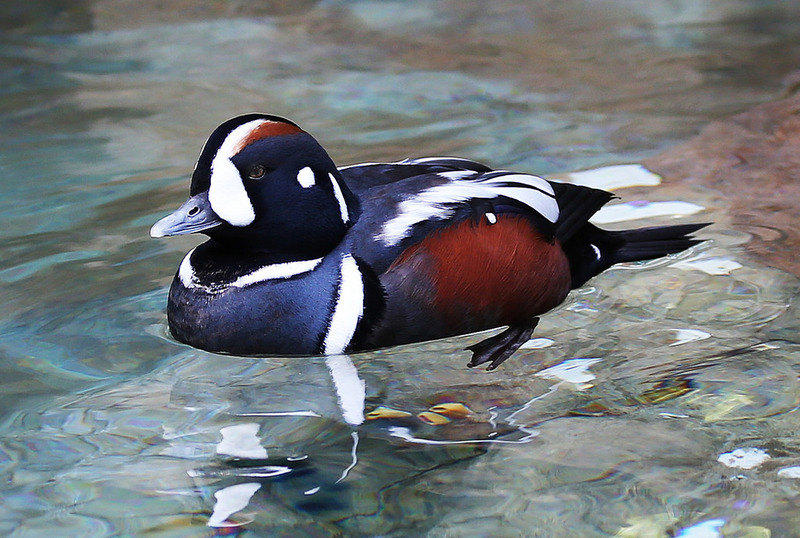 Unlike other ducks, they rest on rocks instead of water. 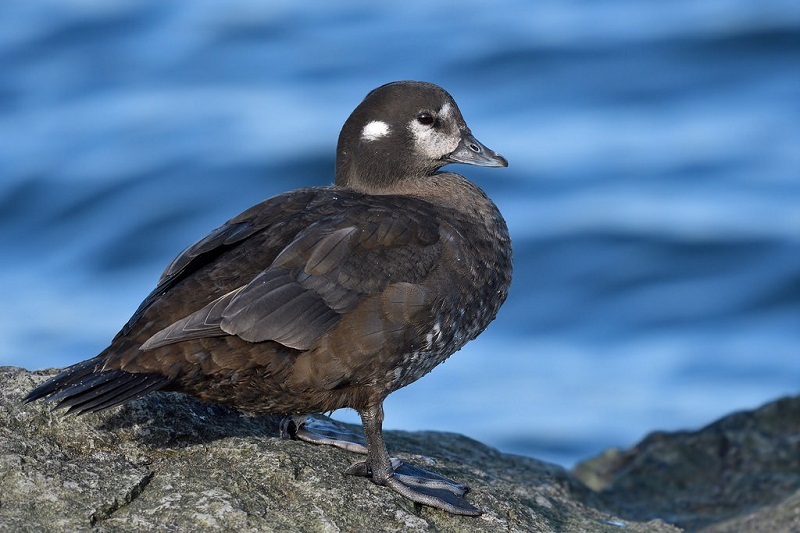 During spring, their migration starts from coastline areas and ends in inland regions. 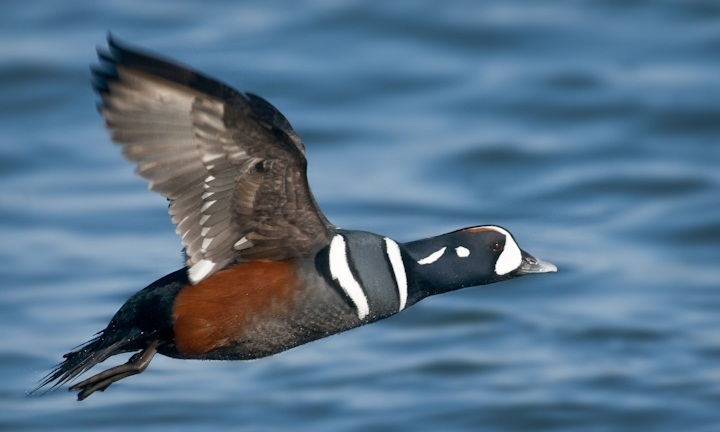 Sub-adult ducks and if any members get injured, they refrain from further migration. 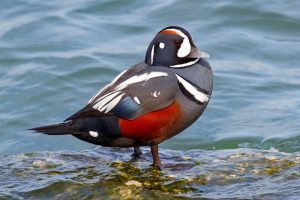 Around October male ducks dance by shaking both their heads and tails, producing a whistling sound to allure females who also look for potential mates who have the brightest plumage. Once a pair is bonded, the duo takes a short flight and engages in mating. 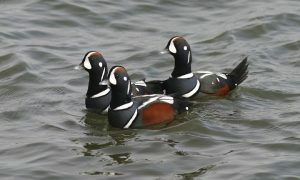 The breeding occurs from May to June. Female ducks have 5-8 eggs in a clutch which they incubate all by themselves. The hatching starts after 27-29 days. Young ducks depend on their mothers to learn preying and it is around after 45 days they start flying on their own. 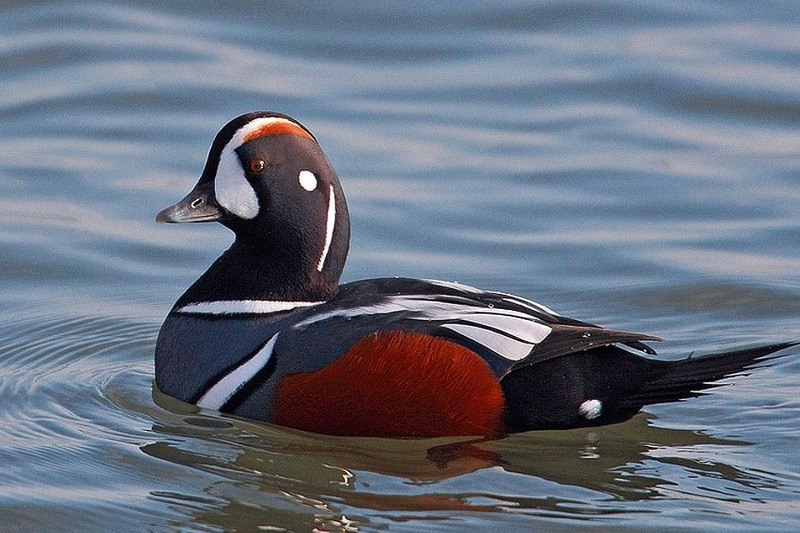 Later on, upon reaching adulthood, the ducks and their mothers migrate to the coastlines. Some individuals stay connected to their mothers as both parties fly back to the same areas. 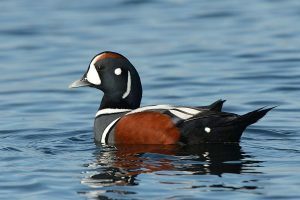 Harlequin duck is the only species of the genus Histrionicus. 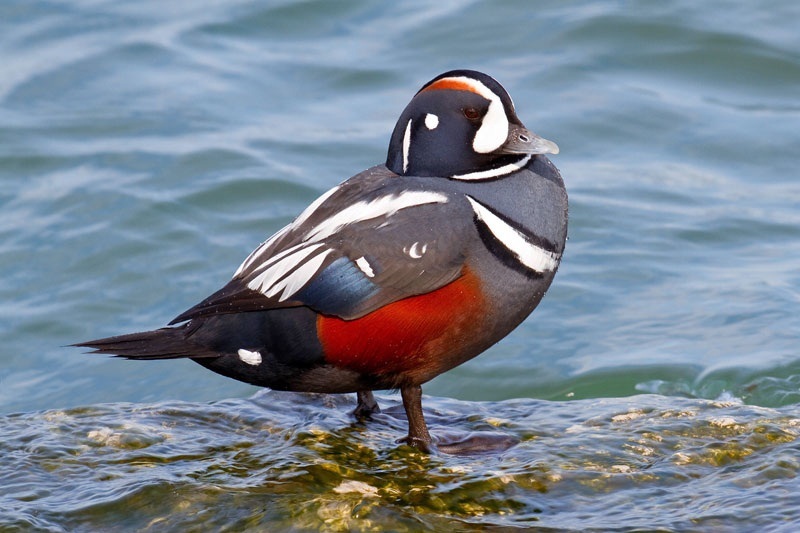 The scientific name of the duck comes from the word ‘histrio’ means actor. 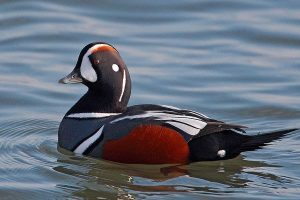 Its common name ‘Harlequin’ is also given after a theatre character. Published on January 31st 2019 by Sahana Kanjilal under Coniferous Forest Animals. Article was last reviewed on 6th April 2019.